* I did not have porridge with salt for breakfast, for the first time in weeks. * Mum sent the package full of love, chocolate and postcards with cranes. That woman! 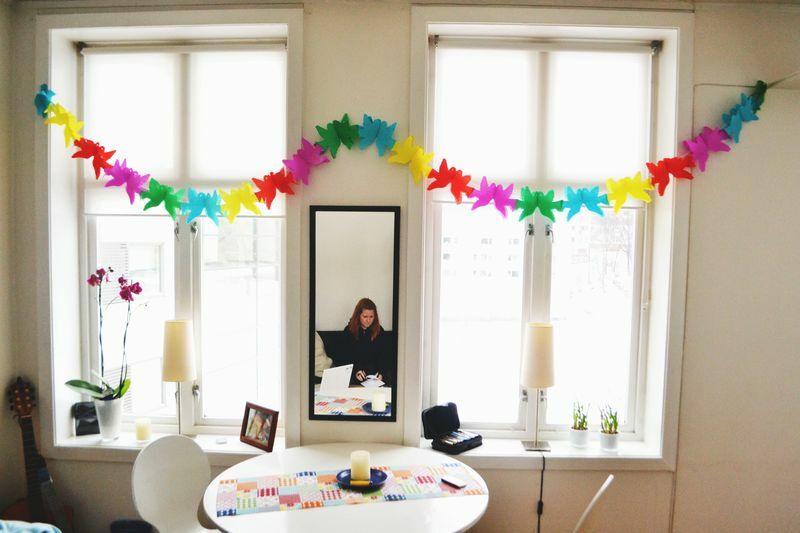 * We cheated and started decorating for the weekend and purchased the world's most colorful garland. And fancy candle that we're not allowed to light until Friday. * I have a mini job, thank god. Good start! * Semlacakes! With nuts n chocolate instead of almondpaste. Finesse. * Mikaela threw a book out the window and yelled something about crappy literature. Right now, we love it more than anything on this earth, and I think that it will probably continue so until the first hangover in this apartment. 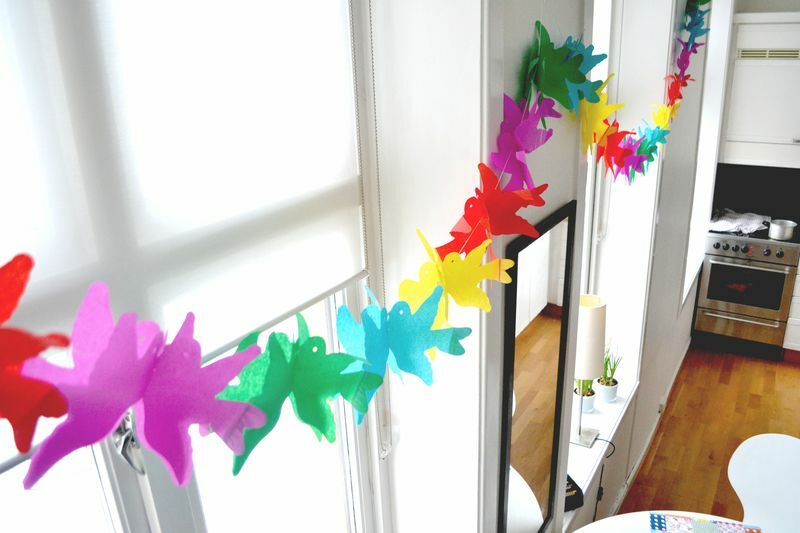 Another great thing about being a grown up person, you may actually have party decorations whenever you want!